Published December 11, 2013 at 720 × 960 in New Awesome Bullet 500 delivered to Mr. S.P. Singh by Shambhavi Automotive Engineers, Baluganj Agra. Mr. S.P. 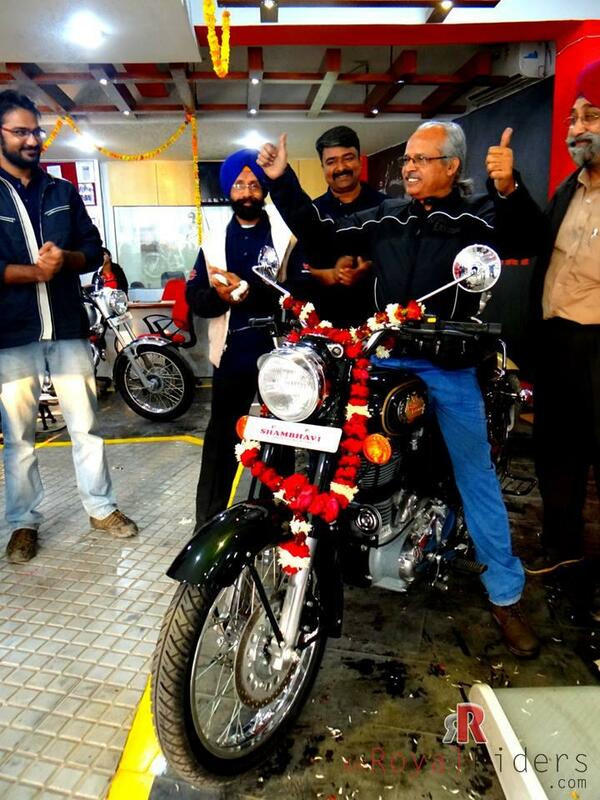 Singh and his new Royal Enfield Bullet 500, the moment of joy after a long waiting period to get bike delivered.